First of all, a big thanks to boblishman for telling me how to make accessories non-deforming. This is an idea I've had for a while, but I had to wait for the proper tools, and I was busy with other stuff, but here it is. 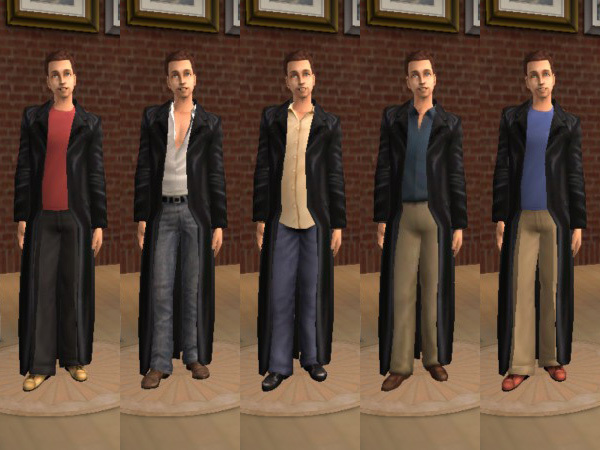 This is a trenchcoat as an accessory, so you can wear it with whatever outfit you want. However, some outfits will poke out through the coat. But a lot of the outfits will work. 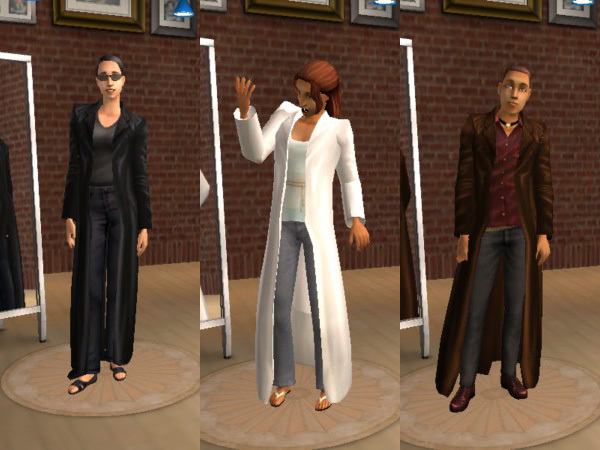 The mesh is just the Maxis trenchcoat, modified so it can be worn by itself. The texture is Maxis's also, shrunk a little because I didn't see the need of having the texture map that big. It comes in brown, black, and white, and is available for females. Yeah, the whole point of this project was to make me a trenchcoated-Rogue, although Syn figured it out on his own using PAF's mesh. It's for teen-elder, male and female, and can be worn with other accessories. 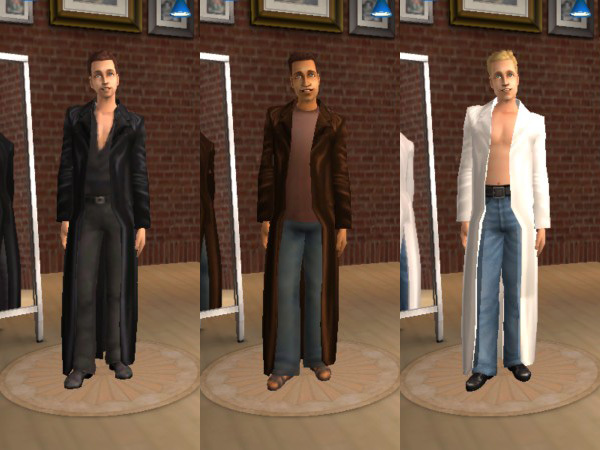 You need the mesh and at least one color to use the trenchcoat in your game. Redistribution Policy: Recolor at will, but do not redistribute the mesh without permission. All recolors should link back to this post. Do not upload to any paysites, and do not upload to the Exchange. I know they're pretty much nonexistant, but feel free to use any color I include with my meshes in your own creations, as long as credit is given and a link to the mesh is provided. All content is by Maxis or me.